-	The executive who is attempting to determine his or her next move and needs a sounding board. -	The overwhelmed collegiate who wants to increase his or her academic performance. -	The man or woman who is having relationship anxiety and stress, particularly over power struggles. -	The wounded warrior/veteran who is having adjustment issues. -	The person who is experiencing feelings of abandonment, sadness, and/or grief. My counseling style is one of support, honesty, understanding, and non-judgment. Also, it is important to note that I tend to be more solution-focused as opposed to problem-focused. My ultimate goal is to help each client free him-,her-, or themself from the heavy burdens they carry and move on to a life of happiness, joy, and fulfillment. I truly applaud your courage in facing and desiring to positively change the challenges with which life has bought to you at this time. Please know that it will be my honor to partner with you in creating the successful life of your dreams. She is a very kind and supportive therapist that helps you overcome your insecurities and concerns. Velma is truthful and very encouraging. She has helped me in a short time strengthen myself. She has been a great help to me and helps me stay on track with my goals. I changed counselors two times and I’m glad that I did because I would’ve missed out on working with her. She is very responsive and cares about her clients. Velma has been great. She has helped me really understand that there were so many issues underlying my own thoughts. I have really learned to know myself once again. Gives excellent advice and looks at the bigger picture. My therapist is wonderful! I highly recommend. Velma has saved my sanity! I absolutely feel very comfortable in talking out my issues with her and trust her guidance. She is a lady with great wisdom and expertise ! Velma is timely response, great person most likely to be around, and encouraging. Her answers are concise and clear. I feel confident and comfortable talking to her, reading her message. Her messages do not change the way I feel before the interaction, after I read her message I feel better. When I write I feel uncomfortable as something is bothering me, I message her, let her know, then I read her message, and calm down. I have been to over 6 therapists in my life and I have never gone for more than 2 sessions. I always gave up because I never found a therapist who I truly gelled with. Velma is a blessing - it's the word that most accurately describes her. She is empathetic & as sharp as a whip - HIGHLY intelligent and intuitive. And not only is she a great listener, she is a problem solver, which is what I now know has been missing all these years. We can talk to any person about our feelings, grievances, regrets - but what's the point if that person can't guide us on how to get through these problems and not only survive, but thrive? I am finally excited (I never, ever, ever thought I would say that about therapy) to continue my journey of healing with Velma. Highly highly recommend her for anyone going through a trying time in their lives. She is a wonderful human being and I am so thankful for her. 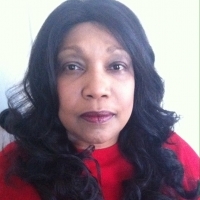 Velma Jones is an excellent therapist who provides practical advice and thoughtful support. I honestly don't know what I would be if I didn't have her help. She listens to me, addresses my issues, and even lets me know when I'm using flawed reasoning. I trust her whole heartedly. I don't think I've had a counselor get to know me so well so quickly. She's changed my life for sure. To put it bluntly, Velma saved me. I don't know what I would have done or where I would have turned to without her. As a single mother to three kids, working part time, being back in school, and being severely hard of hearing it was almost impossible for me to get to a traditional brick-and-mortar counseling session let alone attempt a phone session. Velma's accessibility and the BetterHelp option of live chats for sessions has been a game changer. I finally found a therapist that truly understands how to relate to me. She is nothing short of amazing. Velma is caring and supportive. She has changed my life, with blunt truth. She listens to me and supports my goals that benefit me. Velma is wonderful. She is always there when I need to talk and express myself. I have a very busy work load this time of year and sometimes it is a week or so before I feel the need to talk to her. She always gets right back to me and we pick up like it was yesterday that we spoke. Ms. Jones listens to me and also helps me see and understand myself. I truly appreciate her. In just a very short time Velma has made me feel so much better. She has shown me there is hope. I am calmer and more like myself since speaking to her. Velma is super prompt on responding! She sometimes even responds at 4:30am when I have needed someone to talk to. She also has the gift of empathy which is needed in this line of work. Totally recommend her. Velma is a friendly, compassionate and knowledgeable professional who I feel I can share my life challenges with. She is there for me with objective counseling and guidance and as a result, I feel that I can turn to her when issues arise on virtually any topic that I am dealing with. Very happy I found BetterHelp and Velma Jones! She is really great. She found out what's problem I have and how to work on that very clearly, I didn't even realize and I couldn't focus on that. Every time I asked questions, she gave me good advises, which really helping me and solve my problem. Velma Jones was able to reply in real time to my current needs. She listened with compassion and provided realistic advice. I appreciate her thoughtful approach to my psychiatric condition. I do think that if I continue treatment my situation can improve. Velma is a gift to this world she has helped me in the the past couple of weeks. I have been working with her on my complex PTSD, anxiety and depression highly recommended. We have received individual and couples counseling from Velma and find her to be an awesome listener and insightful advisor. She is patient and caring and gives concrete exercises and suggestions for steps toward improvement. It’s comforting to know we can reach out between sessions, if needed, through BetterHelp. Overall, it’s been a very positive experience and we feel fortunate to have found Velma. Velma is supportive, responsive and empathetic. She has a results oriented approach, her insights and resources that she has shared have helped me immensely. She is caring and straight forward, and knowing that she is in my corner has brought a sense of relief to some of the stresses I've been feeling. I look forward to learning more from her. She is thorough, caring and very helpful. Velma is an incredible counselor - she brings so much professional and real-world experience to our sessions, and has given me such great advice and guidance. I highly recommend her to anyone who is interested in honest, knowledgeable, and compassionate counseling! Velma has been my guardian angel, we've been speaking for little over a year and I must say, I owe a big deal of gratitude to this angel of a woman! I see her as a second mother/close friend/life coach/therapist. Kinda all-in-one support package. I value her empathy, efforts, wisdom and knowledge and remain to be eternally grateful. Velma has helped me deal with the breakup of an almost decade long relationship and all the tough things come after something that hard. I'm thankful to have her to help me in this time. Mrs. Jones was very receptive and helpful. She gave me excellent advice and encouragement as well as giving suggestions to my husband who is also having issues. I will always appreciate her words of wisdom. I have been working with Velma for quite some time now and I can honestly say she is one of the kindest, warmest individuals I’ve had the pleasure of talking to. She was there with me during a time in my life when I felt stuck, doubtful, unsatisfied, and not particularly optimistic. Slowly but surely, she has helped me come to a place where I feel much more positive, upbeat, and at peace with myself. Her recommendations for books and other materials are always spot on and she has a way of injecting humor into any situation, which I really appreciate. She has also helped me get in touch with my more spiritual side, which I credit for my increased happiness as of late. Overall she is an amazing person who has a special talent for reframing a bleak, painful situation into a more positive one. Velma is a really awesome person. She is a great listener and gives precise feedback. Whenever I message her, she replies very quickly. So far I really enjoy my sessions with her and try to utilize as much time with her as possible and take in the information she provides. Velma is extremely warm and an attentive listener. She’s a wealth of information/resources and truly competent at providing suggestions that improve your life in ways you simply never would think of. I always leave our calls feeling refreshed and invigorated, with a new energy to attack the challenges of life. Very lucky to have found her. Velma was very helpful, kind, compassionate and understanding. She went out of her way to respond to my messages at all times of the day. I would definitely recommend. Thanks for everything Velma! Ms. Jones was responsive and helpful in resolving my issue. I will recommend. She is very responsive and doesn't let much time go by before she get's a hold of me and I appreciate it and her. In fact, there are times when she responds seconds after I send a message. She is amazing. Velma is affirmative, she is supportive, wise, and empowering. I feel she is 100% committed to my development, growth, healing, and recovery. I am so grateful that I was matched with her. I think back to our first phone session and I left the call feeling so much more aware of myself, my struggles, and awareness that I will be fine, with time. She gave me hope and I felt renewed. Velma has been great in giving me advice and understanding my current situation. I feel like she's very easy to talk to. Velma helped me out when I really, really needed it. She gave me worksheets and techniques for helping me work through my feelings and see things in a clear way. Getting in touch with Velma and BetterHelp was the best decision I could have made to help me get through what was a really difficult time. Velma is being extremely knowledgeable, compassionate, and caring. Velma has been very helpful to me and gets me to see things from various different perspectives and gets me to do exercises which is helpful to me and decreases my stress and anxiety levels. An excellent counsellor, who helped me achieve major changes in just a few months. Listens, understands, and gives great advice. I cannot say enough about how much Velma has already helped me. Just knowing she’s there when I need her and that there’s a plan to work on with someone else has been such an asset to my life. Everyone should use BetterHelp. Velma is the BEST. Scheduling was the hardest thing for me lately and being able to have a session without leaving the house as been ideal. This is excellent! She is a brilliant, understanding and sympathetic therapist. Would definitely recommend her to anyone! Velma is an amazing psychologist. I am so blessed to have gotten paired up with her. She makes me see logic and helps me through difficult times. Velma works so hard. She gets back to me so promptly and she really listens. She is the best!! Velma has helped me in a way no other counselor has! She has given me so many tools and resources to use to help myself grow mentally, emotionally, spiritually, and even financially! She is a wonderful blessing in my life and I am absolutely grateful for her. I can not stress enough how grateful and appreciative I am that Velma Jones is my counselor. Her expertise in her profession, as well as her professionalism and understanding, make you feel that there is hope that your problems will be addressed in a positive manner. And Velma Jones LISTENS to what you are saying which, in today's world, is very uncommon! It difficult to admit to yourself that you have emotional problems. But once you do, you should hope that you are assigned to Velma Jones if she is located in your area. If your are not located in her area, make sure that the counselor assigned to you is as good for you as Velma Jones is for me and many other patients! I have only been talking to Velma for a short period of time but she has already understood much of what I need and she has been able to direct me already. She listens very well and is gentle and straightforward at the same time. Lovely lady to share with and I look forward to our journey. Velma Jones is a godsend! I have worked with other counselors before, but she is really the best I have ever experienced. She is a great listener, focuses on problem solving and goal setting, and is always there when you need her. In helping you find solutions, you are aware of her incredible expertise and her ability to understand you and your specific situation. I can't recommend her highly enough. She is great so far. It is in the early stages so we are still getting to know each other. Velma is truly an Angel sent here in human form... I cannot explain how much it means to me to have her as my counselor. She has been extremely helpful to me and very supportive in ways I couldn't imagine. She is very knowledgeable, and an expert in relationship coaching and self-help. She helped me get through one of the most difficult times in my life, and fortunately I still have her to help me with my marriage/separation issues. Thank you Velma for all you have done for me! I appreciate you wholeheartedly! Ms. Jones is very easy going. I feel like I’m talking to a friend. She is very professional as well. Velma Jones helped me and my boyfriend gain some direction and a different perspective on our relationship at the moment. I really appreciate everything she has done. She's great and is helping me do the work I need to get done. Velma is an amazing counselor. Her warm and frank style is a breath of fresh air in a sometimes redundant world of counseling. She is easy to talk to and provides amazing insight, especially considering it's just over the phone. She is positive without pandering, funny without being mean, and truly has been in my corner. When I needed help the most, she was ready and waiting for me. Velma Jones is a very experienced therapist, as well as a helpful and kind person. I feel very lucky to have her assistance, and I am VERY picky. Velma is an exceptional counselor. She is tender and attentive, and able to pull insight from various philosophies and schools of thought. Velma is an expert therapist and she communicates with humility. This makes her relatable and easy to confide in. At this trying time in my life, Velma was the listening ear that I needed to sort out my own feelings and thoughts from all the noise. Velma is kind and an amazing listener. I am truly not afraid to tell her anything, and she has super insightful advice. Very quickly I felt I had a "professional friend" in my corner..she is real, genuine, intelligent, caring, knowledgeable and clear. I feel blessed to have chosen her at this difficult time. I have no words to thank Velma for the support she has given me for the past 3 months. Her strong intuition and sound expertise were key for me to recover my energy levels and balance. I cannot think of any better help than the one she provided me with. Velma has been a huge help to me! She immediately understood my situation and gave me very good advice that really helped me. I liked being able to communicate via email and speaking on the phone. She has a very good intuition and a strong background in counseling so she is able to draw from both those and give excellent feedback and advice . I highly recommend her. Velma is great. She listens to whatever I have to say, she has been helping me change the way I think, and I think she's doing a great job. Thanks Velma! Brutally honest, yet respectful and compassionate. Ms. Jones has been extremely kind, supportive and professional. I appreciate how responsive she has been and look forward to working with her in the future. Velma is great! She has already helped me a lot with my issues. Always there and giving a lot of resources to gain extra knowledge about any problem and be in control of it. She is an expert I would really recommend to other people who seek professional efficient help! Very understanding. Gets to the point when listening. The most experienced counselor I have met so far. Velma is a very good listener and has provided me with some helpful advice. I recommend her. Velma has been an incredible help to me in a very short time. I think she's the best therapist I have ever had! I really love her practical and caring approach. I understand myself much better even after just a few sessions. I look forward to healing more and being happier through my work with her. Velma is both wise and worldly, she is always available to help me and tells me the truth! Which is often quite humorous, especially if I'm in the wrong! She's helped me to expand my view and bring positivity back into my life, she's helped me to stand up for myself and have confidence. She's an excellent counselor. Velma has been awesome. I feel so happy! She is wonderful. She really helped me a lot. I am so grateful I met such a wonderful therapist on this forum. My former therapist who I used to see retired last year and I was interviewing a variety of therapist locally. None of them worked out. I decided to try this service and I was paired with Velma, who I can say is just as wonderful and even more so then my former therapist. I have had major breakthroughs in a short period of time. Velma is very patient, wise, and just an overall special person. Everything she says is well thought out and thought provoking. I can tell she really cares about me, and she wants to see me get better. She doesn't sugar coat, and she also helped me leave a very toxic relationship. She provides many tools and has a lot of guidance. I am amazed that I could find such a high-quality therapist from the comfort of my own home. I highly recommend Velma and I thank her so much. This is just the beginning and I look forward to our work together. Velma is caring and a good listener. I've been working with Velma for a couple of weeks and am very much appreciating her help so far. She's been very responsive and understanding, and has helped me troubleshoot some barriers that have come up. I would recommend her highly, so far. Velma is compassionate, insightful, and solution focused. She will push you to be your best self and give you every tool you need to get there. Velma is a really good listener and helps me to calm down and have hope. Velma has been awesome. She is responsive and had book suggestions for me to read that were incredibly helpful. Been great working with her so far. Velma is so kind! She has been nothing but helpful and I 100% recommend her! Velma has been spot on with my problems. She can easily find a solution to each of my weaknesses and provides support via insights, plans of action, and applicable reading material. I am very grateful to her. Velma is amazing! Highly recommend. She's such a warm person with lots of great insight. Great counselor, very nice, and caring. Oh my goodness, she is so kind and helpful. She possesses just the right blend of confidence and warmth that gets you motivated to better yourself. She poignantly shares her wealth of expertise to help name and solve problems. I have just begun my work with her, and we have already identified issues, and are currently establishing goals to work through those issues. She is very inspiring. Thank you, Velma! Velma is phenomenal! She is so available, kind and extremely intelligent. She is amazing to talk to if you want to see real changes in your life! Readily available and a great help. She is brilliant, supportive and pushes just the right amount. Velma is exceptional at what she does! She will forward any relevant information, books or materials that she feels will benefit you. She is very knowledgeable in all areas and gives solid advice. I would definitely recommend her to others. 10/10! Velma is thoughtful, intuitive and an amazing counselor. In the short time I have known her, she has helped me sort so much. I am calmer and happier and she really helped me get there. Velma has been a breath of fresh air. She doesn't pull punches. She's straight forward and gives me practical suggestions along with explaining the why behind them. My life is improving and it's thanks to Velma. Velma is great she has helped me out of a very dark place and into a position where I'm creating my reality and living the life I've always wanted. Velma is a wonderful counselor. Patient, focused on problem solving, kind, and professional. I'm glad I got to work with her, she helped me feel supported. Velma is such a kind and compassionate individual and has helped me immensely within such a short period of time. She is non-judgmental and always makes you feel like you're talking with a friend. I highly, highly recommend her. Velma was just what I needed. Yea. Dr. Jones is a good counselor. I was able to connect with her very quickly. I still practice the techniques she thought me and it is very helpful. Velma is a gem. She brings out your confidence, minimizes the rumination on bad thoughts, and helps you see clear solutions. I love working with her! Velma has been helping me a lot through my current life situation! I really felt understood and got very valuable tips from her. Thank you Velma! Velma takes her work seriously. I was hesitant to do online/chat therapy but I have developed a relationship with Velma that is sincere, direct and caring. Velma takes an active approach and is available for counsel, conveniently to make it work for my schedule. I am really enjoying working with her and she has helped me so much with the issues I am working on! This is a great service for busy people!! Velma is terrific! I've been having trouble with past trauma and Velma has been so helpful. She has very caring and positive and super supportive on my road to recovery! Velma is knowledgeable, dedicated, intuitive and wise. I had a wonderful experience. Very responsive and knowledgeable. She makes you feel good and like you have someone strong on your side. I recently started therapy with Velma, she comes of as very understanding and compassionate and is full of advice. I am absolutely happy with my therapist. Velma is honest, warm, and caring. She is very good at keeping up with you and getting back to you. You can tell she puts love and effort into what she does and I'm truly thankful I got to go through this with her. Love her!! She's the best. She's honest with you and helps so much! Velma is very professional and knows her stuff. I'm thankful to be able to have her as my counselor. Amazing how in less than one week, I started to notice a difference for me, although it does tend to take longer for some people, and that's normal also. I have full confidence in Velma Jones to be able to help me and I plan on continuing therapy with her. I just started sessions with Velma but already I feel like she is helping me with my anxiety issues. I really look forward to working more with her. She's amazing. Very prompt with replying and so far is helping me a lot. Velma has been great! She is very knowledgeable and understanding. She tells it like it is but she is very helpful in the way she does it. Her responses are very timely I would recommend her to anyone needing help with addictions. Velma has been great, she has been extremely patient and non-judgmental. Velma is great very understanding and real. She helps you to feel like you're not alone in suffering from anxiety, but also holds you accountable. This has been the best thing that I've done for myself and I'm so grateful. Velma is great. She's helped me a great deal. Velma is a very talented counselor. She's resourceful and creative, and she has the compassion of a saint. Velma helped me learn how to address my anxiety and appreciate the fact that I am human and should embrace life as it is handed to me. I've had a few session with Velma Jones and so far she has been great. She gave me good advice and allowed me to know myself better. I totally recommend her. Velma Jones is a great listener and I appreciate all the tips she gave me to help deal with various issues in my life. Velma is always very understanding and helpful! She sends quick replies to messages and is very flexible when arranging times to chat. Thank you! Velma has been a great help to me during a very stressful time in my life. She is always there with helpful advice and encouragement even weekends and late at night. Velma is always there with advise, or just to listen. She always responds no matter how small the problem. Velma is great! I started about a month ago and she listens and responds very quickly. Velma has helped me through through a crisis and supported me to make sure I was okay after. Her support is so appreciated. Velma was very supportive. It felt like she actually cares about her clients. I have been dealing with some overwhelming situations in my life right now. The loss of my life partner, the beginning of a new relationship, and the emotional struggles that come with both. Grief, sadness, anger, fear, anxiety, aprehension, insecurity, ect. Velma has heped me sort through these emotions, take control of my situations, and deal with what is in front of me. She is warm and personable, yet honest. I can't thank her enough. Velma has been great help. Thoughtful and caring, Velma always responds rapidly and with varying suggestions: I've found her feedback to be positive and calming with an emphasis on problem solving. She is great so far. She's always there even late at night or early in the morning some times I don't know how she puts up with me but I am grateful that I got matched up with her. Velma has been a blessing to me throughout the time I shared with her. I am so thankful for all the ways she helped me and guided me. an excellent counselor, very professional and knowledgeable. Would you like to write a review for Velma Jones? We'd appreciate if you can spend a couple of minutes to write a short review for Velma Jones (MSW, LCSW-R). This review would be shared with Velma Jones. It may also be posted in our website or in Velma Jones's profile but it would be anonymous and your identity would be kept completely confidential.